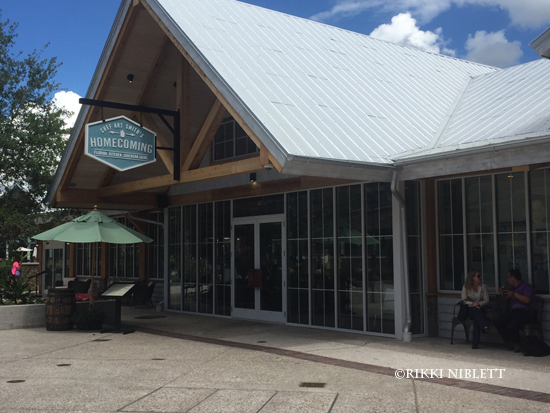 Disney Springs has certainly seen it’s fair share of new restaurants over the past few years. The shopping and dining complex has become the go-to place for those looking for a great meal at Walt Disney World. And with so many great choices, as well as with celebrity names that abound (like Morimoto, Bayless, Smith, Puck, Fieri, to name a few), well it really is hard to choose which one to visit. Especially when vacation time is limited. So today, I thought I would help to make the decision a little easier. 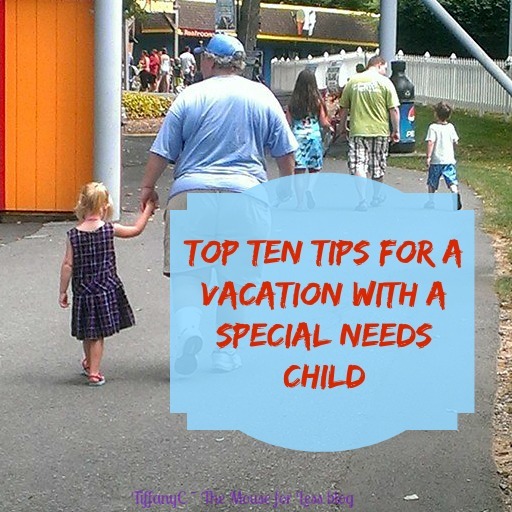 Here are my Top 5 choices of where you have to consider to experience on your next visit to Disney Springs! The BOATHOUSE – Located in The Landing section, The BOATHOUSE really does have it all. 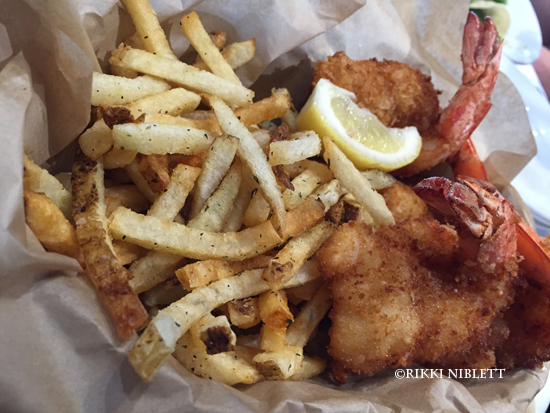 They serve seafood, steaks, burgers, ribs, pasta, chicken, and more. The seafood is the star though and plentiful. It’s of course, what the restaurant is known for. They have an exceptionally large Raw Bar to choose from. If you can’t find something here to enjoy, you aren’t trying hard enough. Art Smith’s Homecoming – It’s well known that Art Smith used to be a Walt Disney World Cast Member on the College Program. So, he was eager and ready to bring his restaurant style of good old fashioned southern cooking to his home turf. And yummy is it ever! With the classics like fried chicken, shrimp and grits, deviled eggs, and more, this is food like your grandma used to make! (Or at least mine did!) You won’t regret this trip back to the past, because it’s so delicious. 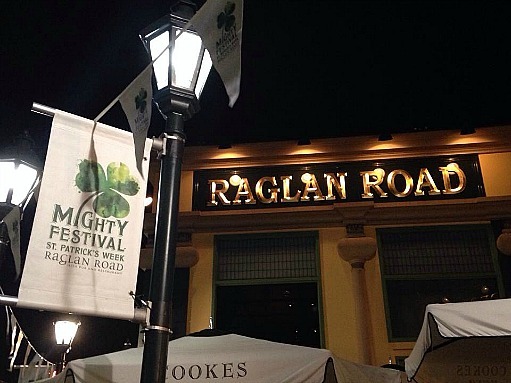 Raglan Road – A staple since before Disney Springs was Disney Springs. This classic Disney restaurant serves up some incredible Irish fare. With dishes that come straight from Ireland, such as Beef Stew with Guinness, Shepard’s Pie, and Fish and Chips, this is as authentic as you can get. Oh and don’t miss the performances that take place each day! Bands often perform, as do Irish dancers. It’s entertainment and a meal! How does it get better than that? (Oh and you don’t want to miss their St. Patrick’s Day Festival or their Great Irish Hooley in September. 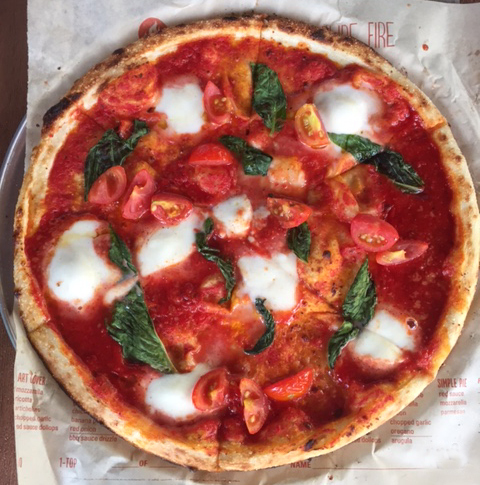 Blaze Pizza: This is arguably the best pizza at Walt Disney World. (I know…blasphemy! That title should go to Via Napoli, many would say.) The pizza is essentially made Subway or Chipotle-style. You pick and choose the ingredients you want on your pie, with the ability to have as much of it, or as little of it as you like. Heck, add every ingredient…that’s ok too! Then, the pizzas are put in a super hot oven that cooks your pizza in around 120 seconds! The bottom has the perfect char to it, the toppings aren’t overcooked, and the pizza is incredibly good. Oh plus, pizzas are large enough, you can share, if you have two people with smaller appetites. You can’t mess with success and Blaze is it. 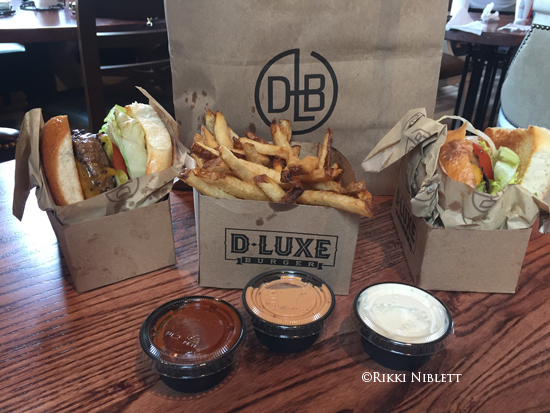 D-Luxe Burger: When this restaurant opened, many scoffed at the pricing. Yes, it’s expensive for a burger joint, but it’s a really good burger! Cooked to perfection with just the right amount of juicy goodness, D-Luxe Burger is where it’s at. It has a very simple menu of really just burgers and fries, but both are exceptionally good. Oh and their dipping sauces are heavenly! (Hello garlic ranch!) Make sure you share a fry (they are so large, honestly!) and grab a shake to round out a perfect meal. 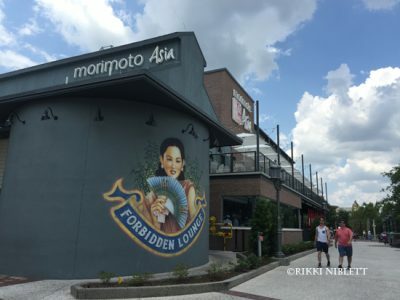 Morimoto Asia: Another celebrity chef has brought the it factor to Disney Springs. Iron Chef Masaharu Morimoto brought his incredible pan-Asian style to Disney and it’s incredible. If you are in the mood for sushi or dim sum, this is the place to get it. In addition, the peking duck is one of his most famous dishes. It’s a great restaurant for those looking for a romantic night out, but comfortable enough for the whole family too. Earl of Sandwich: Another staple of Disney Springs. This, for years, was the go-to counter service restaurant here. 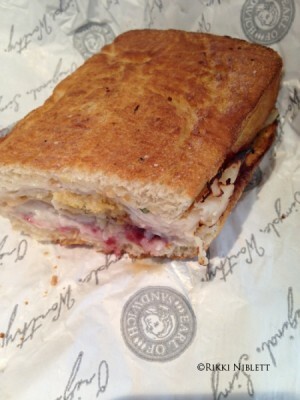 Earl of Sandwich serves some of the best artisan sandwiches you’ll ever have. They are well-known for their Holiday Sandwich, which is turkey, cranberries, stuffing and gravy, but they also have a great caprese and the All-American. Looking for something else, consider grabbing a hot bowl of soup, which is especially nice on some of those chilly winter days in Florida. (Yes, they get them too….for like a day, but they get them.) Oh and did you know that Earl serves breakfast too? Wow! That list was really hard to put together! There really are so many great options to choose from now that it’s honestly hard to choose! Of course, Disney Springs isn’t done growing yet. With The Polite Pig, The Edison, and Wine Bar George all set to still join the lineup, this list still very well could change. But that’s what’s so great about dining at Disney Springs. No matter what type of food mood you are in, there really is something for everyone and for every budget. 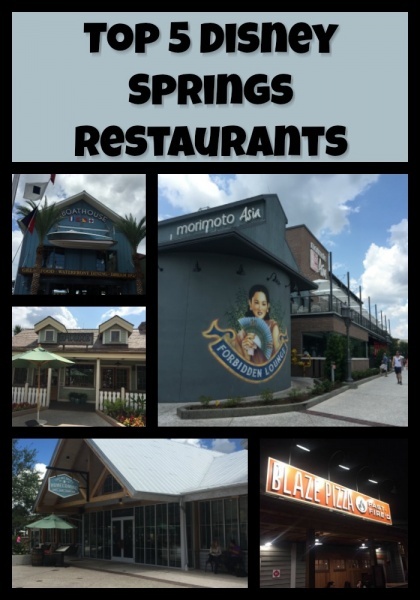 What is your favorite restaurant at Disney Springs? Share your thoughts in the comments section.